Masks at the ready. It’s Italian carnival time! From elaborate masks to giant character floats as big as buildings, carnival season is almost upon us in Italy. Here are seven that shouldn’t be missed. Carnival, or Carnevale in Italian (literally, “goodbye meat”, to mark the beginning of Lent), is one of Italy’s biggest winter festivals and often lasts for two to three weeks. As Carnevale is in the middle of winter it’s a great way to brighten the coldest February days with parades, masquerade balls, floats, entertainment, music, confetti, parties and of course costumes and masks (Maschere). There are fun activities for children and even the very youngest will wear fancy dress costumes while throwing confetti at the passing carnival floats – everyone can take part. If you walk through the second-hand clothes section of the weekly market, at the end of January, you will find many children’s costumes for sale and grandmothers get out their sewing machines to create original outfits for their grandchildren. Carnival events and processions of various sizes are held in every town across Italy. Carnevale in Viareggio on the coast of Tuscany, attracts more than 600,000 spectators each year, all gathered to stand in awe of the massive floats in papier-maché. 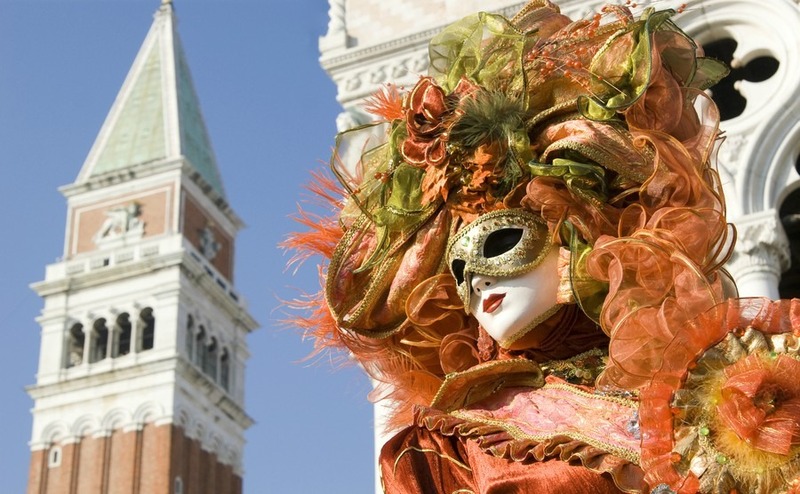 The festivities last all month, with night and day celebrations, floats, parades, masked balls and shows. In 2017, The masked parades take place on 12th, 18th, 26th, 28th February and 5th March, along the Liberty seaside boulevards. 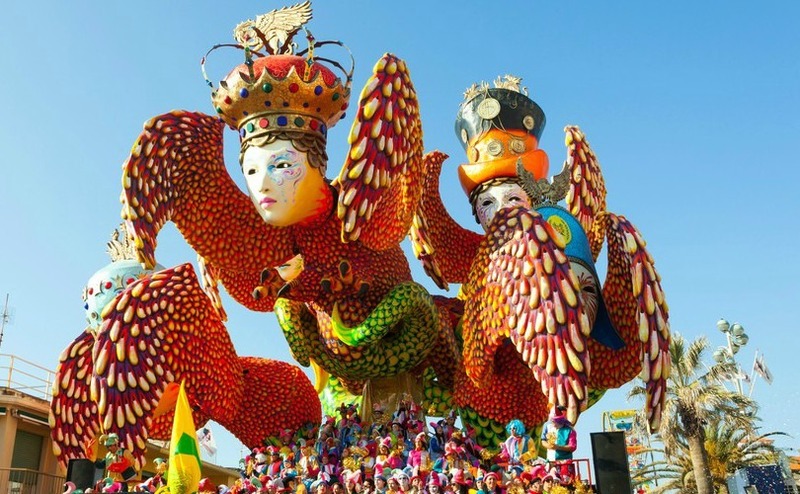 Cento in the Emilia Romagna region, is linked to the Rio de Janeiro Carnival in Brazil. Floats are of a very high quality. The winning float in the Cento parade is taken to Brazil to take part in their Carnival. This year one of the floats is called “Trump the King of the jungle”. 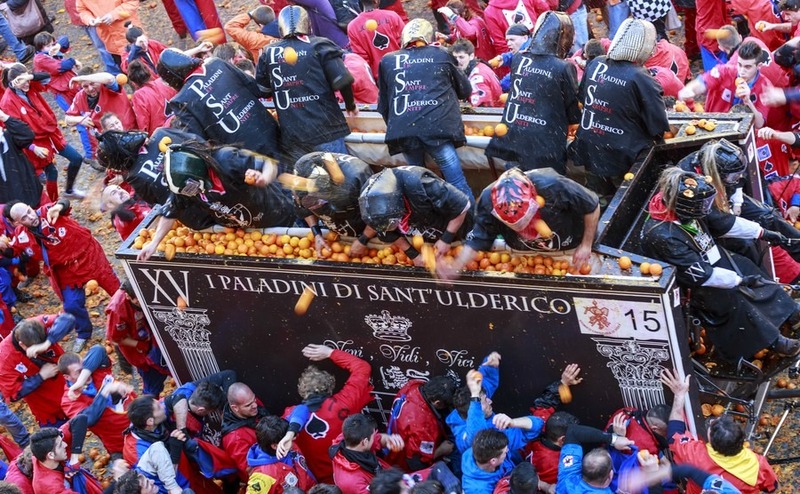 The town of Ivrea, in the Piedmont region, has a unique carnival celebration with a colourful parade followed by an orange-throwing street battle. The town of Oristano, in Sardinia, celebrates Carnevale with a costumed parade, horse races and a re-enactment of a medieval jousting tournament. It runs from 26th to the 28 February 2017. Pont St. Martin, in the Val d’Aosta region of north-west Italy, have Roman style celebrations with an effigy of the Devil burnt on the 2000-year-old bridge. In Venice, running between 11th and 28th February are gondola, boat and mask parades with mysterious people dressed in elaborate costumes. Masks are an important part of the Carnevale in Venice, where you will find many elegant masks available for sale all year round. In the evening there are masquerade balls and a grand firework display. The Putignano Carnival in the Puglia region is rich in tradition, rituals and events dating back to 1394. The floats always feature giant caricatures of politicians or TV personalities made of papier-mâché. 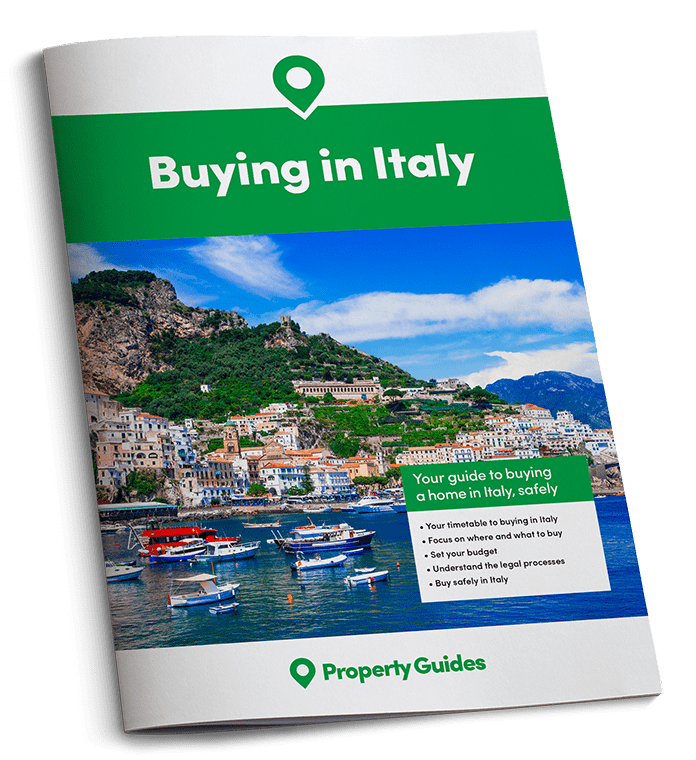 They are as high as many of the town buildings and are built by master craftsmen of Putignano. The mascot of the Carnival is “Farinella”, named after an ancient peasant food made with chick pea flour and roasted barley, enjoyed with sauces or fresh figs. The procession is accompanied by groups of costumed dancers and a street band. There are also various workshops and exhibitions. Food at carnival time is rich in fats and sweets. Traditional dishes in most regions include gnocchi, lasagna and tortelli. Fried pastries are very popular with spoonful’s of dough fried in oil creating the ball shaped Frittelle or Castagnole. The most famous carnival fritters are ribbons of sweet pastry fried and covered with sugar or honey. These fritters are familiar all over Italy, where they have many different names including Flappe, Crostoli and Bugie. Whatever you call them they are so sweet and light that all Italian families enjoy nibbling at them in nonna’s kitchen as fast as she can make them.